How would you definite it? And this is a skill for preschoolers? Thankfully, kids don’t need to know that lofty definition or even the difference between vowels and consonants to understand syllables. They’re actually quite simple. To introduce syllables to my Four, I used his name. I don’t share my kids’ names on this blog, but I’ll show you what I mean using some of their middle names. “Every word has syllables. It’s a chunk in a word that you can count. Words can have 1, 2, 3, or even more syllables. How many syllables are in your name? Let’s clap them. Ste-phen. (clap/clap) How many did you count? “That’s right! Let’s try Emilie. Em-i-lie. (clap/clap/clap) How many syllables? 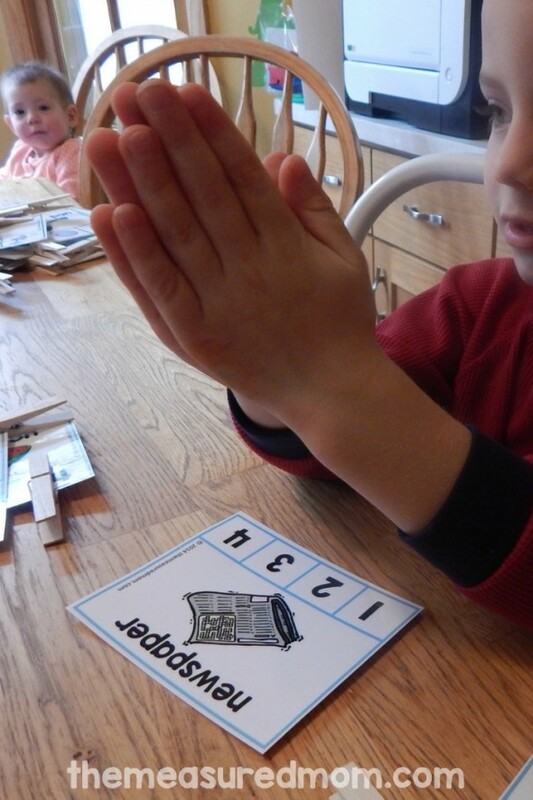 Finally… if your child can’t bear sitting at the table, show him the cards and have him JUMP the syllables! Then let him clip the syllable count before moving on to the next one. So what’s the point of learning syllables anyway? When I was in school we learned it later (early elementary). I remember pages of counting syllables in words in my reading workbook. Boring, but easy. I never understood the point. There are good reasons this skill has shifted down to pre-readers. 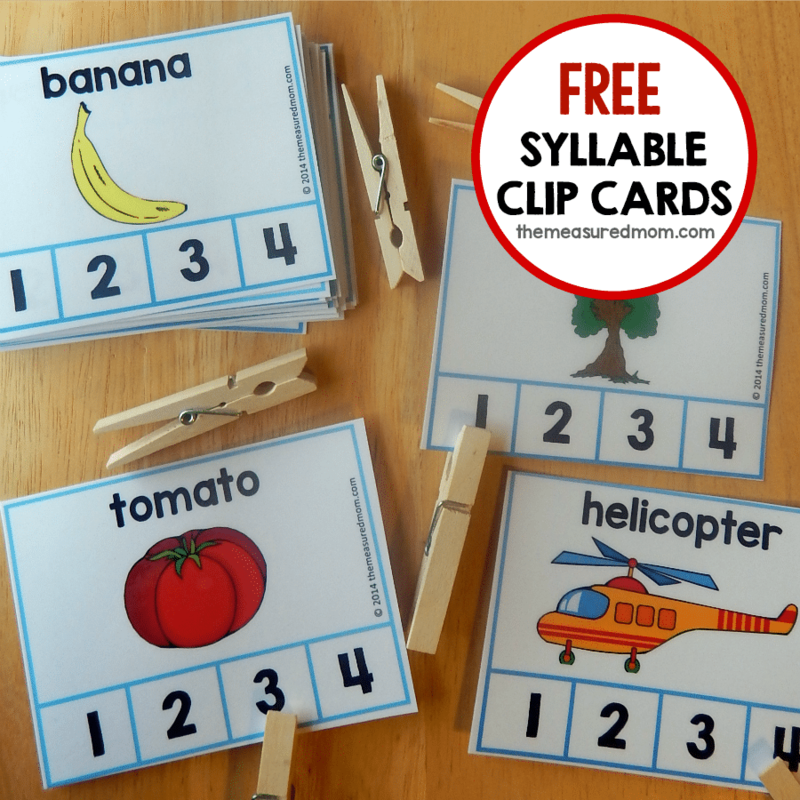 When kids can chunk words into syllables, they can read longer words more quickly, accurately, and fluently. Beginning spellers do better when they can break words into pieces. Here are even more free printables! It says “Get your set of 60 free cards HERE.” Click on the HERE. If it doesn’t work for you, the box underneath that has tips to make it work. 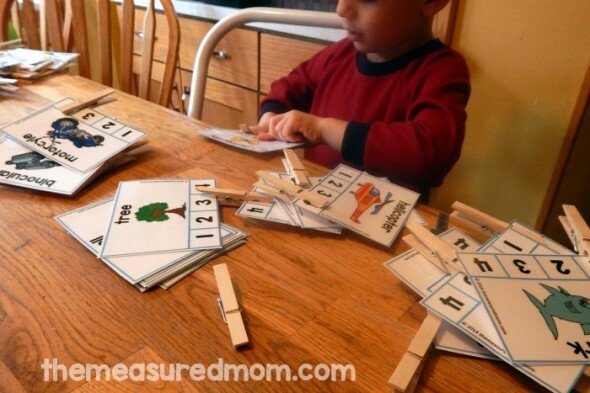 These syllable cards are wonderful. I noticed on motorcycle that the second /c/ is missing. Thank you for all your posts. I’m a Head Start teacher in my first year of teaching. Your site has been most helpful. Hi, Sharon! Thanks for the correction on my syllable cards. It should be fixed now! Thank you for the freebie! Here’s the definition of a syllable I was taught: A small word or a piece of a word that has at least one vowel (or a vowel sound). I like that definition – thanks, Suzanne :). I just wanted to say thank you for your generosity. 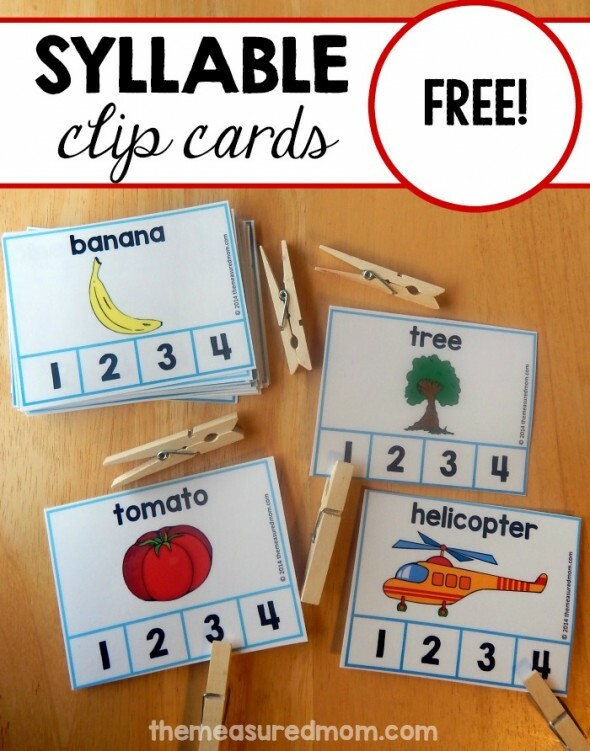 These clip cards are wonderful! The kids are really going to enjoy them. Bless you! Thank you so much for all these resources. My 7 year old is a struggling reader who has been resisting learning because of her delays. Added to that the anxiety because her 4 year old brother has taken to reading like a duck to water. 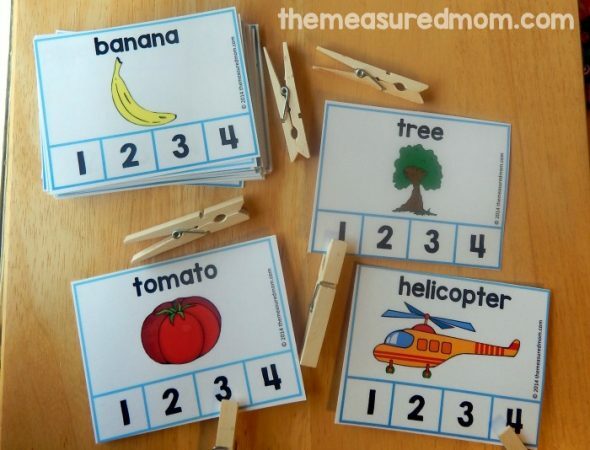 But they love playing games together and these resources across your site have brought back the fun for her – we are making baby steps again! Oh, I’m so happy to hear that, Terri! It’s definitely hard when a younger siblings picks things up sooner. 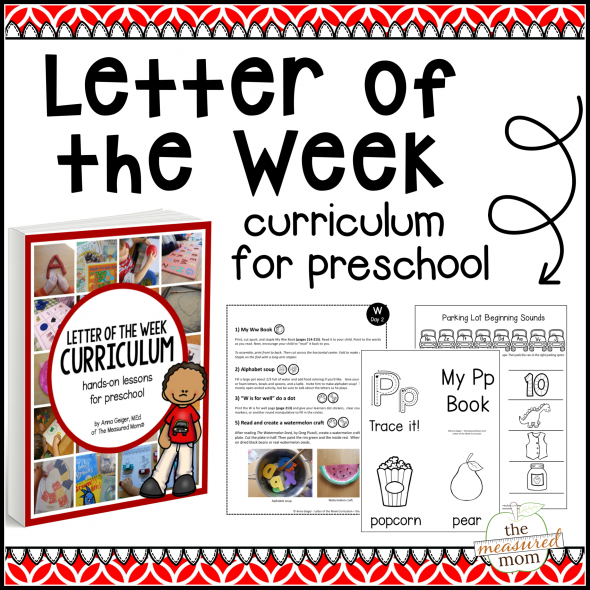 I hope you find a lot of resources here to make learning fun for your daughter! Thank you so much for sharing all these wonderful ideas. I am extremely busy and I always find awesome ideas on your site. Thank you. I’m glad you’re finding things you can use, Patty! Thank you so much for sharing your syllable cards. This is a great idea! Below is an easy definition of a syllable for kids. “A syllable is a word or part of a word with 1 vowel sound’. I teach this with hand actions. I learned it from the Orton-Gillingham program. I love all of your ideas. They are so awesome! Thank you. Thank you, again for sharing!! I’m so excited to use these materials with the children! Thank you for sharing so much great material. I’ve learned a lot. I think I am going to enjoy this information. I told you in my e-mail that I am volunteering as a tutor for two adults in the local literacy program. I am always looking for material that I can adapt. One student is on a k/1st grade reading level (LD) and the other one is on a 2/3rd grade level. P.S. thank you for sharing. I accidentally found your website yesterday. Another reason for knowing syllables helps when students are learning to print words– they often forget the vowels, especially in syllables like ‘er’, ‘pull’, shov-‘el’, gard’en’, etc.. Thanks, I am teaching 2nd grade for the 15 year, plus this is my 29th year and I have two non-readers. The materials will really come in handy. You’re very welcome, Betty! I hope you find many helpful resources on my site. thank you for the idea of putting their hand under their chin i think that will be more concrete for their learning. Thanks for freebie..i like your pages..it very help me to teach my special student n my son..Jazakallah..
You’re very welcome, Adawiyah! I’m so glad it works for you and your learners! Wow! That’s all I can say about your website. You are sooooo generous with your, time, your generosity and your talent. Buenas noches, que bueno que los comentarios estuvieran abajo lo antiguos y arriba los nuevos, así no tendría que bajar tantas paginas. si es en dolares y yo pago y me envían al correo la actividad para yo bajarla y hacer la respectiva impresión, por favor me comentan, muchas gracias . y felicitaciones. All my products are digital – so you would get the files in your email after you purchase.